Bungee jumping is a popular adrenaline sport. It consists of jumping off a bridge while tied to a bungee cord, and is not for the faint of heart. 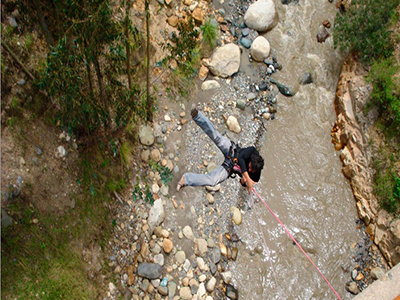 The height of this bridge is 45 meters, and is accessible within a twenty minute drive from Huaraz.